In Marilyn Brant’s smart, wildly inventive debut, one woman in search of herself receives advice from the ultimate expert in matters of the heart: Jane Austen. 1. What are the major themes and turning points in the story? Which turning point in Ellie’s thinking do you believe finally sets her on the road to greater self-understanding? 2. How is our vision of the world different as an adolescent than as an adult? Can we sometimes carry our adolescent worldview into adulthood long after we should’ve left it behind? Or are there some truths and beliefs about other people and/or ourselves that remain consistent through time? 3. 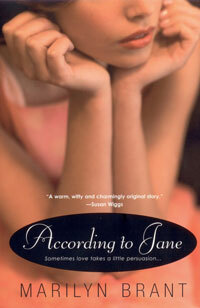 Ellie’s friendship-turned-relationship with Sam is complicated by their having met in childhood. What adolescent misperceptions about him did she persist in holding on to over the years? What does it take to see our youthful prejudices through more mature eyes? 4. Do you identify or sympathize with Ellie? Do you empathize with her relationships–be they friendships, family interactions, romances? 5. What is Ellie’s “friendship” with Jane like? Do you believe a writer’s work–particularly that of an author no longer alive–can be a guiding force in a reader’s life? That it perhaps can even act as a form of friendship? 6. Are Ellie’s romantic relationships different from one another? Or, in essentials, are they each similarly flawed? Explain. 7. Ellie delineates seven “types” of men, and Austen, too, used her characters as representatives of a group (i.e., Darcy representing the rich yet honorable “highly eligible bachelor” who is not above learning a lesson in pride; Wickham being the prototype for a “deceitful charmer” who uses his looks and social skills for personal gain and self-indulgence; Bingley as the friendly “boy next door” who’s not as sophisticated as his role in society sometimes requires, etc.). Can people be so easily categorized? Do you recognize individuals you know in either Ellie’s or Jane’s categorizations? Or, do you believe human behavior defies fictional stereotyping? 8. What is Di and Ellie’s sisterly relationship like? How does it change over the course of the story? Is Angelique a family outsider or a symbolic sibling? What about Gregory? Could any meaningful change have taken place between these characters if the book had a shorter timeline? 9. Ellie is a middle child. Do you think she would have reacted to Sam and/or to men in general differently if she’d been the eldest or the youngest? How has birth order affected you in your relationships? Or do you think it hasn’t? 10. This story chronicles Ellie’s voyage of sexual discovery as well as her emotional and intellectual growth. Are these journeys interrelated? Do you believe there is any correlation between a woman’s level of comfort with her sexuality and the degree of her emotional maturity or the extent of her intellectual prowess? 11. What purpose does the persistent referral to 1980s music play? Do these songs help set a scene both emotionally as well as literally? Are any of the novel’s themes underscored by the unstated lyrics of the songs mentioned in the book? Do songs you hear on the radio pull you back to a certain place and time? If so, which ones? Why or why not might they be powerful tools in eliciting memories? 12. 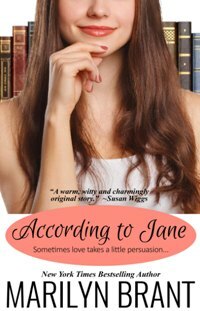 For readers familiar with Austen’s Pride and Prejudice, what are the similarities between the characters and situations in the classic novel and those in According to Jane? 13. For readers familiar with Austen’s letters and other biographical records, did you notice any parallels between Ellie and the real-life Jane Austen? 14. In Chapter Two, Jane tells Ellie, “You are more imaginative than any of them. Your cousin. Your siblings. Even your schoolmates. They have talents, to be sure, but beyond an intelligent mind there must be a creative spirit. It is not enough to absorb mere facts. True invention is in the application of vision.” What do you think Jane means by this? Do you believe what she’s saying? 15. What do you think happens to Sam and Ellie after the book ends? Do you think they’ll stay together? Do you want them to? Do you believe in soul mates, like Angelique does, or do you believe, like Di, that a lasting relationship is all about hard work and commitment? And, depending on what you think happens next, what do you imagine Jane’s comments on the subject would be?